The freedom-loving subjects of the counts of Greyerz, changed from hunters, farmers and lumberjacks to ski instructors, hotel keepers and business-men. Extensive cultural assets testify the many-sided developpement in the last four centuries. 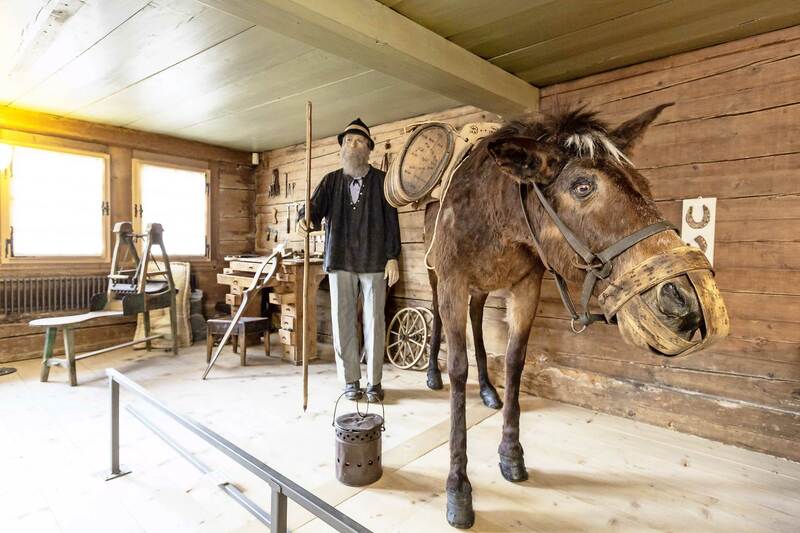 You will find the museum of the Saanen-County in a building from the late Middle Age which became severely damaged in 1575 by a disastrous fire which affected the whole village. Embrasures and a „Bsetzi“ (stonebed)-cave are reminders of the old times, as well as the open kitchen-chimeny, which was used up to the museum opening. In 1987 the museum association of the Saanen-County was founded. This on the initiative of Hans and Steffi Berchten who offered their private collection of artistic and agricultural assets to this institution as a legacy, after their passing away. Under the direction of the first association president Willfried Raaflaub and during 12 years the opening of the museum was prepared. The inauguration took place on the 29th of May, 1999. A permanent exhibition on Saaner customs and traditions as well as regulary changing temporary exhibitions are presenting to guests and locals the history of this valley.